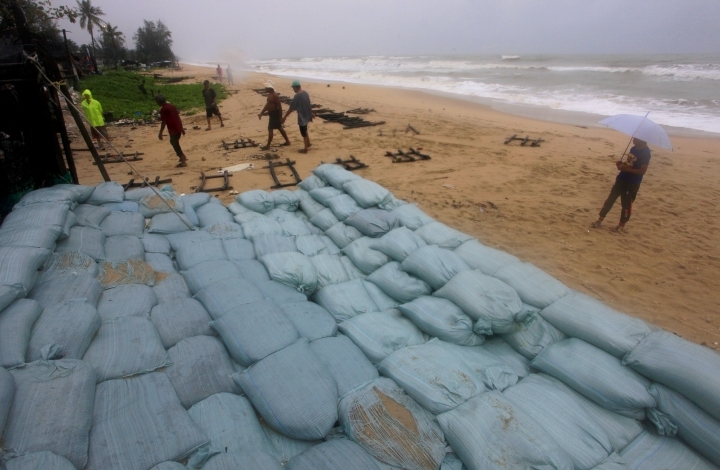 NAKHON SI THAMMARAT, Thailand — Thai authorities suspended ferry services and evacuated locals and tourists ahead of a tropical storm expected to pound the Southeast Asian nation's famed southern beach resorts during a peak tourism season. Rain was already falling around the Gulf of Thailand and officials warned that torrential downpours, strong winds and rough seas were expected when Tropical Storm Pabuk makes landfall Friday evening. 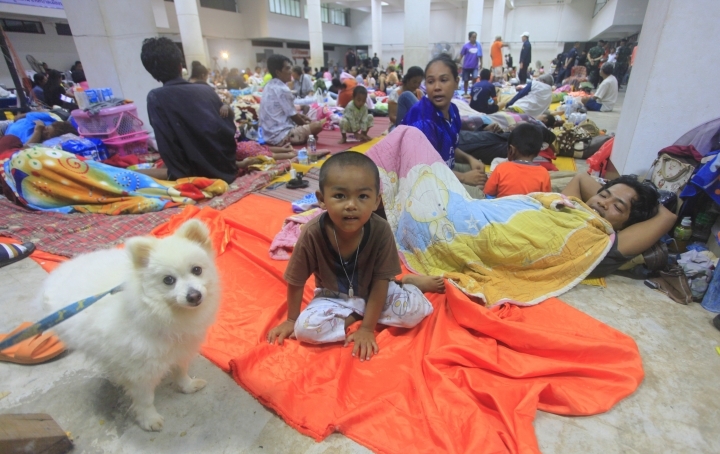 There are fears that the storm will be the worst to hit Thailand since 1989, when Typhoon Gay left more than 400 dead. A tropical storm in 1962 killed more than 900 people in the south. 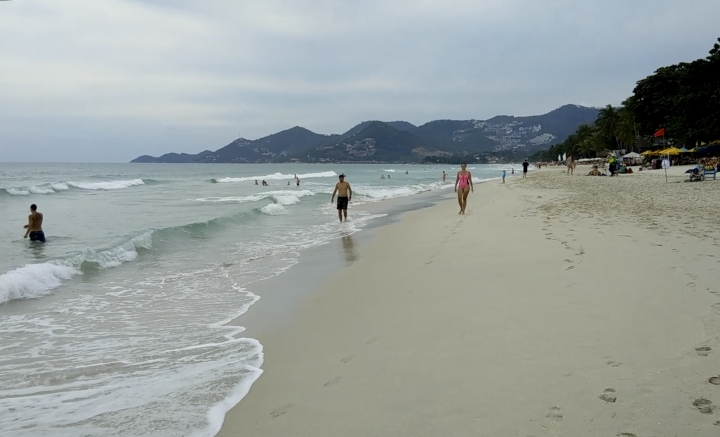 In a death possibly related to the storm, a Russian tourist in Koh Samui died Wednesday as he tried to rescue his daughter, who was struggling in strong surf. Thai PBS television reported that the daughter survived but her father lost consciousness after being tossed against some rocks and couldn't be revived by rescuers. 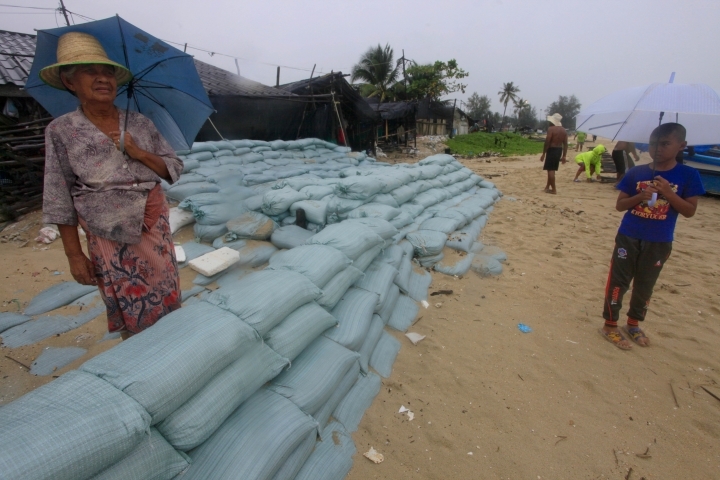 Thailand's Meteorological Department said the storm will lash southern Thailand's east coast through Saturday, with the two provinces of Surat Thani and Nakhon Si Thammarat expected to be hardest hit. Surat Thani is home to the popular tourist islands of Koh Samui, Koh Tao and Koh Phangan. Army trucks were driving around remote seaside areas in Nakhon Si Thammarat on Thursday evening, searching for stragglers who had not yet been evacuated. 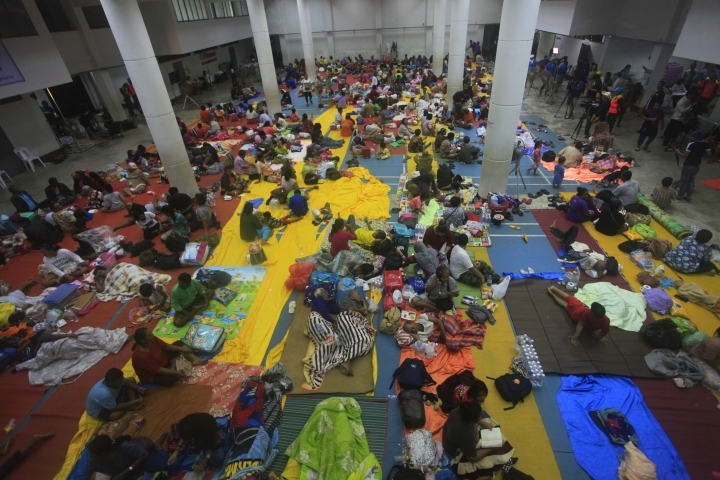 "We have prepared three shelters and currently have about 1,000 people in them," said local official Kriangsak Raksrithong. Along with tourism, fishing is another major industry in the south, and small boat owners were heeding the warning. Many dragged their vessels ashore, attaching ropes to the boats and having friends help tug them on to beaches. 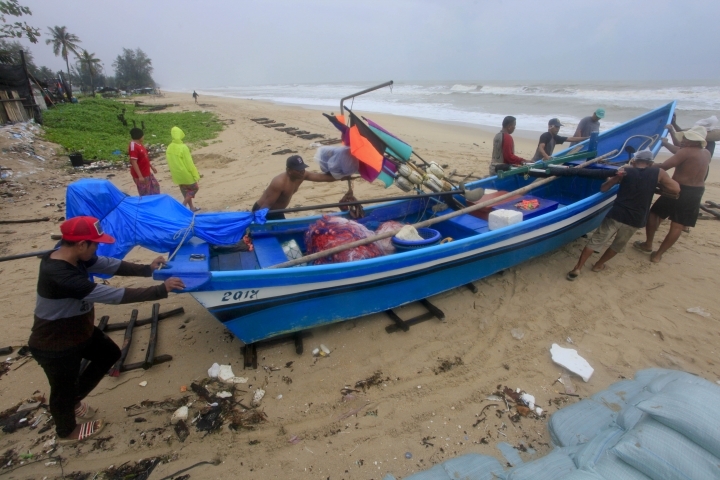 The Meteorological Department said Friday morning the storm was southeast of Nakhon Si Thammarat province with maximum winds of 80 kilometers per hour (50 mph), and that waves 3 to 5 meters (10 to 16 feet) high were possible in the Gulf of Thailand, and 2 to 3 meters (6 to 10 feet) high in the Andaman Sea on the west coast. It warned of strong winds and storm surges on the gulf side and said all ships should stay berthed on land through Saturday. "There will be heavy rainfall and we have to prepared for flooding or an impact on transportation," Prime Minister Prayuth Chan-ocha said. "We are ready ourselves, but if the rainfall is high we will need some time to resolve problems." He later held a video conference with governors of provinces in the storm's path to discuss preparations for the emergency, including draining floodwaters, mobilizing rescue vehicles, and readying medical facilities. Southern Thailand's tourist industry is a huge moneymaker, and authorities have become particularly sensitive to visitors' safety since last July, when 47 Chinese tourists drowned when the boat they were on sank in rough seas near the popular resort of Phuket in the Andaman Sea. 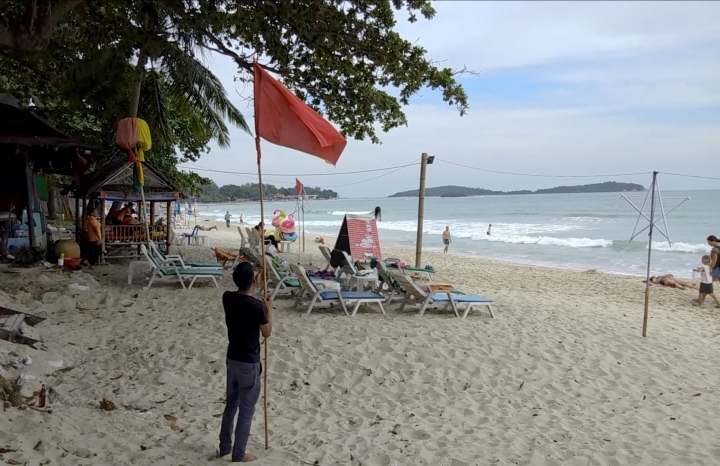 On Samui island, beach guards hoisted red flags to warn people to stay out of the sea. Police patrolled beaches, although many were almost deserted. Anne Britt Sodefjed, a tourist from Norway, said she wasn't worried. "We have bought lights, yes, and some more water. And we know the hotel will look after us," she said. Two natural gas production platforms in the Gulf of Thailand directly in the path of the storm suspended operations and had their personnel evacuated to shore, said the exploration and production arm of the That state oil company PTT. It said drilling rigs and vessels had been moved to unaffected areas, and gas production at a third platform remained operating to help meet energy needs. Southern Vietnam also was expecting heavy rain and strong winds in the Mekong Delta, the country's major area for rice and aquaculture production. 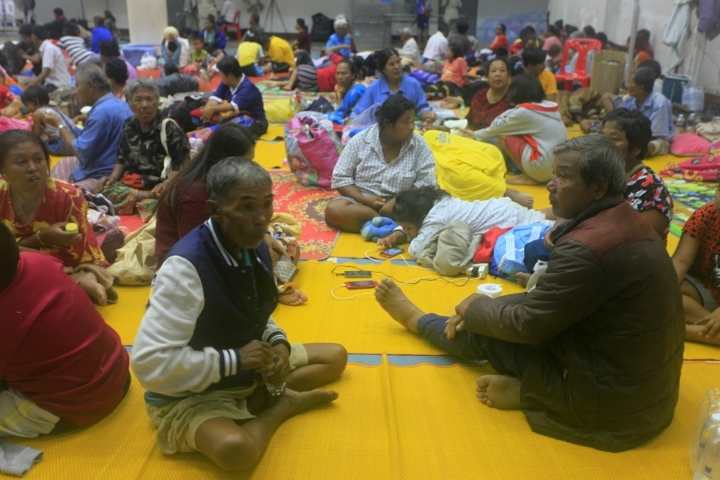 According to Vietnamese state television VTV, authorities ordered people to take precautions and sent radio alerts to thousands of fishing boats to take shelter or return to shore. 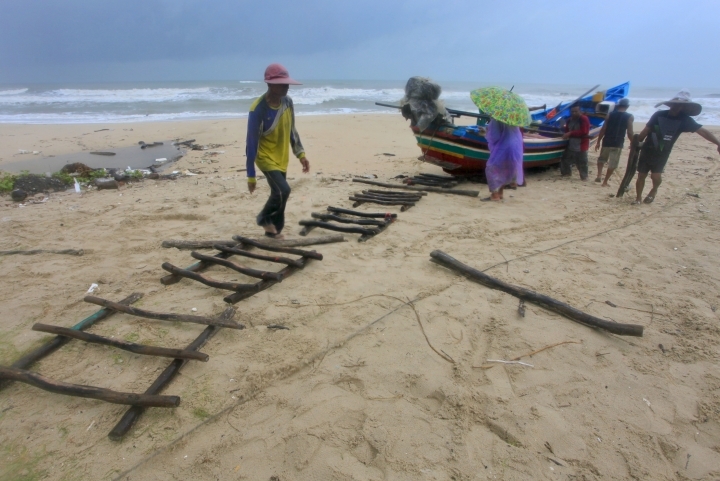 They had forbidden new boat departures in five southern coastal provinces since Tuesday. Q&A: What does it take to be a legal immigrant in the US? Weekly Fame seeks to provide purposeful news to help improve and be a better self through daily life, fashion, accommodations, and traveling. Copyright © 2015 - 2019 Weekly Fame. All Rights Reserved.